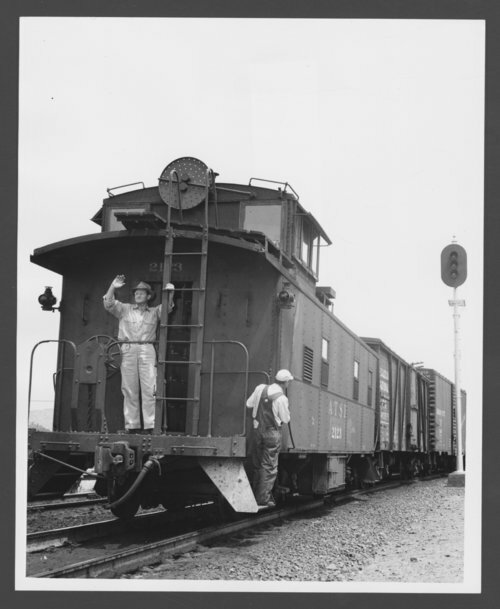 This black and white photograph shows two employees from the Atchison, Topeka & Santa Fe Railway Company at the Barstow, California yards. The men have been identified from left to right as conductor N.O. Young and brakeman W.M. Tarlton.